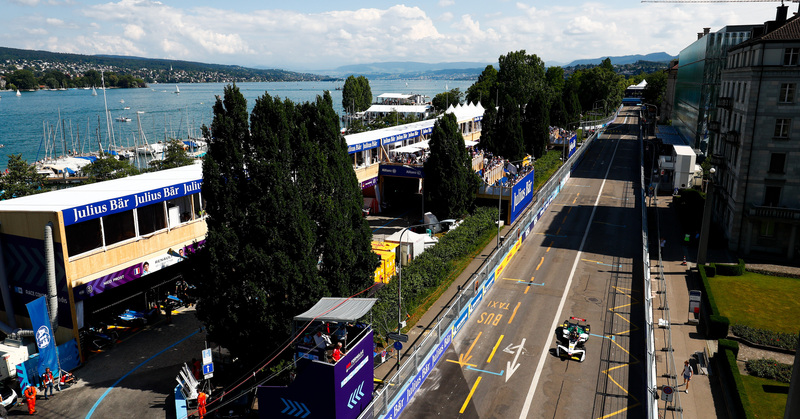 England’s Sam Bird launched himself into contention for a first Formula E title after a dramatic inaugural Zurich ePrix saw him finish second behind Lucas di Grassi as championship leader Jean-Eric Vergne could only manage tenth. The result means that Bird cuts the championship lead to just 23 points with only the final round of two races in New York remaining. His rival’s lead had been 40 points before the start of the day. For Bird, the second place arguably meant more as he now has a very realistic chance of overhauling the seemingly unstoppable Vergne and snatching a most unlikely title. 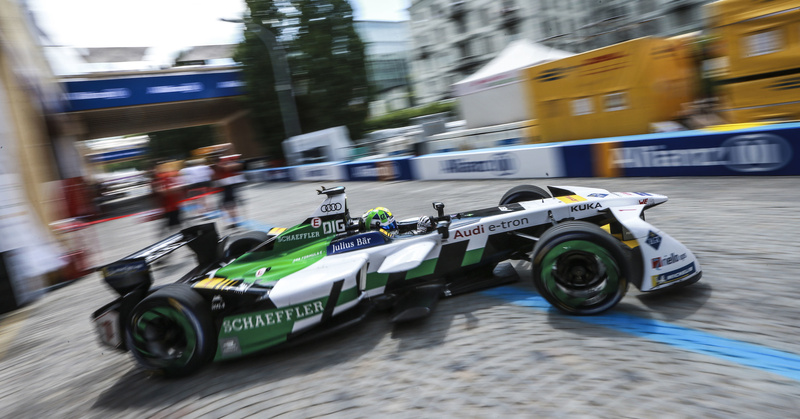 Daniel Abt (GER), Audi Sport ABT Schaeffler, Audi e-tron FE04. 2018 Zurich ePrix. © Formula E Content Pool. New Zealander Mitch Evans held onto his pole slot at the start, the first ever for Jaguar in the series in their second season, staving off a strong charge from Andre Lotterer and title hopeful Bird. An early collision between Nelson Piquet and Daniel Abt threatened to bring out an early safety car. But the early status quo remained Evans from Lotterer and Bird before his title hopes seemed to suffer a dent as he dropped behind a flying Lucas di Grassi on lap 14 and the fast-starting Sebastien Buemi in the Acronis-backed Renault e.dams team. 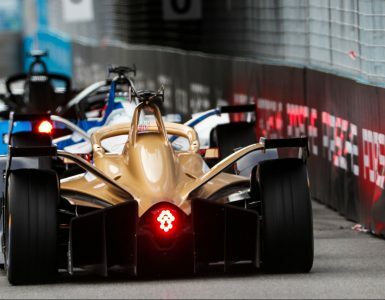 Championship leader Vergne, having experienced a ‘nightmare’ qualifying lap, made steady inroads from his starting position of 17th on the grid and soon found himself in prime position and up to ninth. A solid points finish was all that was required from the Frenchman and he was a man on a mission, pulling off a brave move on Felix Rosenqvist on lap 17, bumping the Mahindra Racing car into the wall and bringing out the first safety car of the race. It heralded a flurry of pit stops under a yellow flag but a slow stop for the championship leader dropped him further back. Worse was to come. 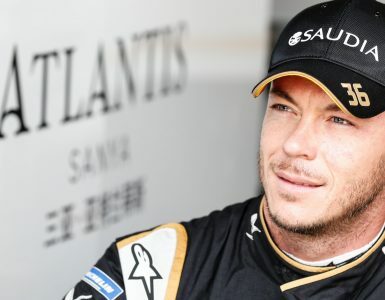 Speeding penalties under the yellow flag for Evans, Lopez, Lotterer and crucially Vergne means that Bird now has an outside shot at championship glory. With a handful of laps to go, Bird found himself a remarkable second to set up a grandstand finale in New York as his rival grabbed what could still be an important point. 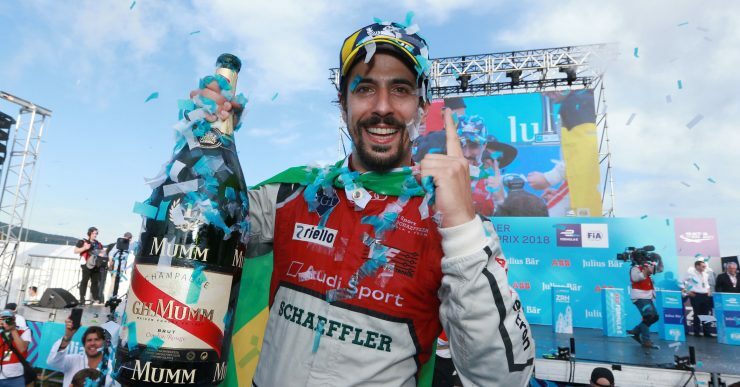 Jerome d’Ambrosio joined di Grassi on the podium for the champagne celebrations as Lotterer finished fourth behind local hero Buemi, who used his FanBoost to great effect to catapult past Evans. It certainly comes as no surprise that the Swiss ranks third out of all 20 drivers this season as voted for by the fans. FanBoost a fantastic interactive initiative that is unique in motorsport, giving fans a chance to influence the outcome of the race. So how, exactly, does it work? 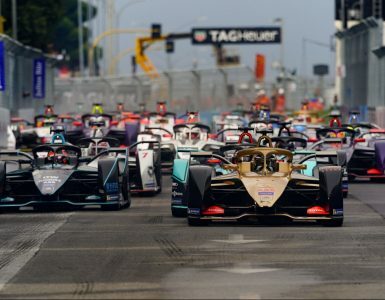 Via social media or direct on the official Formula E website, the top three drivers who collect the most votes either receive a speed burst during the race. It also means that the drivers are also involved in social media initiatives, the majority engaging with their fans to try and get that extra advantage come race day. On the back of the steering wheel is a paddle that the driver can activate when he feels the need. There are two fan boosts, one in each car that the driver uses. When he chooses to employ, it results in an energy advantage of 150 to 180kw, which equates to a critical 20% more power. This can make the difference between winning and losing. Points or no points. In real time, it is a five second ‘power boost’ and can be deployed at any time apart from the first lap of the race. It worked out for Buemi and his multitude of fans will be leaving Zurich with smiles on their faces, mindful that they may have contributed to helping him with his Renault.